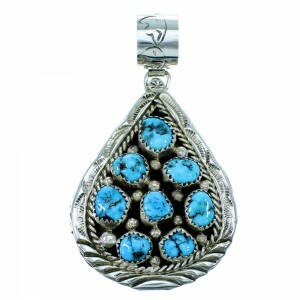 At SilverTribe, we carry a beautiful variety of tear drop pendants. 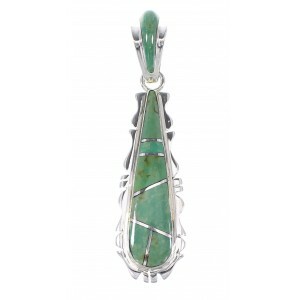 The simple design highlights a magnificent stone centerpiece against the backdrop of classic American Indian silver work. Our Native American pendants are the perfect addition to any necklace or bracelet and will add a new element of style to your collection. Our artists' hand-select the most stunning stones to appeal to a variety of styles and tastes. 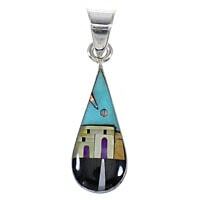 Tear drop pendants are a truly versatile piece of jewelry for both formal and casual wear. The stones used come from the Southwest and all over the world. 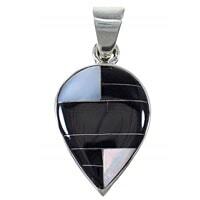 Throughout history, jewelry makers have chosen certain stones based on spiritual beliefs. For instance, some of the materials used are believed to possess spiritual and healing powers. 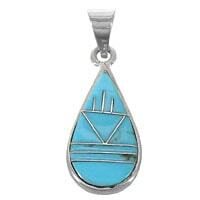 Some teardrop pendants are believed to grant the wearer luck and provide protection from evil spirits and negative energy. While our stunning collection of tear drop pendants appeal to those who appreciate the spiritual aspects of certain stones, our customers keep coming back thanks to the beauty and craftsmanship of our products. 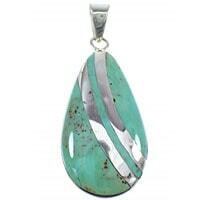 You'll find tear drop pendants in a vast array of colors, styles and materials. 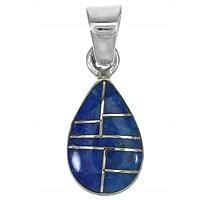 Whether you prefer a simple stone, or a multi-stone pendant, we have the right selection to fit your needs. 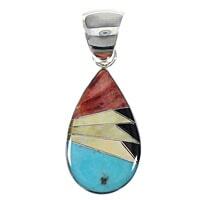 Navajo Indians are considered by many to be the forefathers of tear drop pendants. 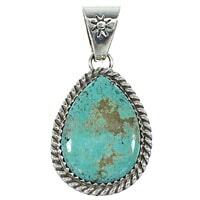 It is widely believed the Navajo were the first Southwest tribe to begin working with sterling silver, which became an irreplaceable asset for the tribe's economy through trade with outsiders. The tear drop pendant was among the earliest and most elegant designs. The simplicity of the silver backdrop helps to highlight each stone's complexity and depth. While the techniques and equipment have improved over the years, much of the style, spirit and heritage behind each pendant remains. Indeed, the fact that this amazing jewelry has not gone out of style for more than 100 years is a true testament to the impeccable craftsmanship involved in making authentic tear drop pendants. 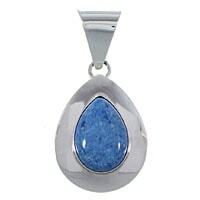 Browse our collection to find the right tear drop pendant for your collection. We offer the best value on the most sought after stones and styles to ensure you will always find what you are looking for, and probably much more than you hoped for. Your satisfaction is our primary goal. That's why you'll always get the best customer support and free shipping on every order. 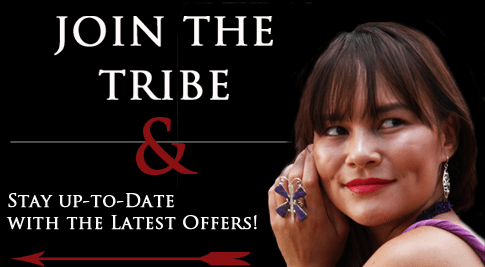 Shop with SilverTribe today and experience the service that has helped make us the online leader in Native American tear drop Pendants and pins.